Rootes Grocery Store has set up a food donation drop off point at the front of the store and is working in partnership with the Students' Union and Coventry Foodbank to collect food items to help local people in crisis. If you have any unopened and non perishable food items that you would like to donate, please drop them off at the store. The items will be collected weekly by the Students' Union and delivered to Coventry Foodbank. To celebrate Academic Book Week the Bookshop is offering 20% off all books, including the top 20 influential banned academic books, between 4 - 8 March. Academic departments can also take advantage of 20% off all department orders until the end of March. 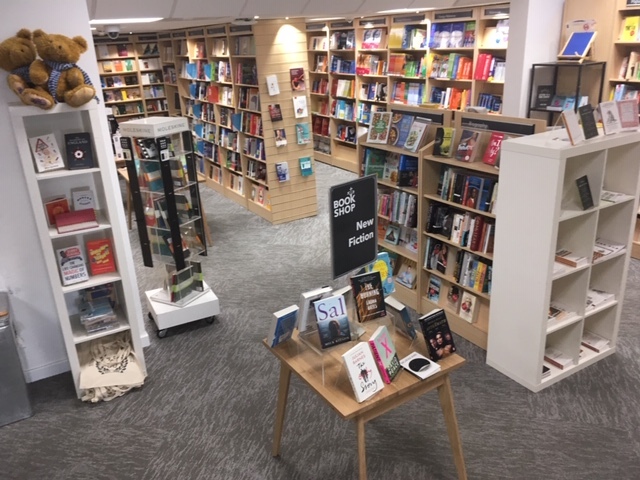 If you haven't visited the Bookshop for a while, we'd love to see you (we are conveniently located in the Students' Union atrium opposite Costa). On Wednesday 6 March we'll be open until 7pm, so why not pop over for a glass of wine between 5 - 7pm, claim your 20% off department voucher and chat to our friendly and knowledgeable team? Don’t worry – we’re only moving a short walk away! On Friday 22 February Café Bar will be relocating to the unit opposite the Music Centre in the Arts Centre. We’re also changing the name to Arts Centre Café which better reflects the café location. There may be some work going on throughout the day, so please bear with us. We’ll do our best to keep disruption to a minimum. Kate and the team are really looking forward to welcoming everyone in the new, large capacity cafe. We're making some changes, find out more about some new exciting initiatives being introduced into our cafes. The Bookshop is moving! We are delighted to announce that the Bookshop will be relocating to the Warwick SU building in September 2018, moving into the old Barclay’s unit. Today is World Environment Day so we thought today would be a good time to share how we’ve been helping make campus more sustainable. As part of Green Week 2018, a student-led initiative committed to reducing the amount of single-use plastic in the University of Warwick. Sponsored by Warwick Retail and the SU, the student’s will be giving out free reusable water bottles to staff and students on campus in return for a pledge to use it instead of single-use plastic cups. Due to the weather conditions today Warwick Retail have reduced services in some of our outlets.